GreenPowerMonitor has always opted for flexibility and technological integration. One of the main values of GreenPowerMonitor is its ability to integrate renewable energy asset portfolios into a single central platform. In fact, more than 1GW of the 14.5GW (between solar and wind) under management are based on other third party SCADA or DAS systems. 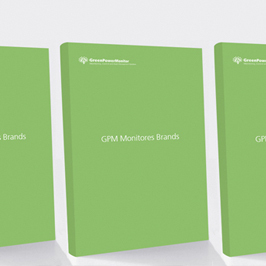 Its decisive commitment to the integration of different brands has allowed GreenPowerMonitor to be considered as one of the most flexible companies in the sector with more than 2,300 installations monitored by some of its GPM Solutions. GreenPowerMonitor engineers are committed to facilitate integration. For this reason, they presented a new list of brands adhering to their technology integration protocols. Do you need a new data acquisition system? Would you like to receive more information? Our renewable energy experts will be available to assist you. Contact us at info@greenpowermonitor.com and let us help you!